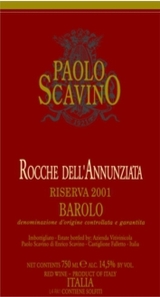 A Riserva that is always of great elegance, enveloping, complex, extremely fine, the fruit of old vines that are maintained with countrymen's stubborness and that is caressing as the perfume of dried roses. Big and opulent on the nose, with blackberry, earth and spice and just a hint of cedary cigar box. Full-bodied, with a solid core of ripe fruit and velvety tannins. It goes on and on. Muscular. Best after 2009.